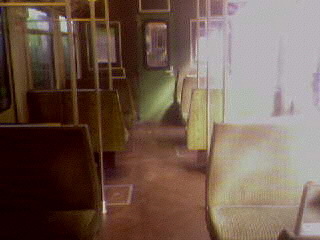 Everything in there is green, although the seats have faded to a sort of olive. It's maybe just a little tacky. It's my avocado fantasy land at long last!